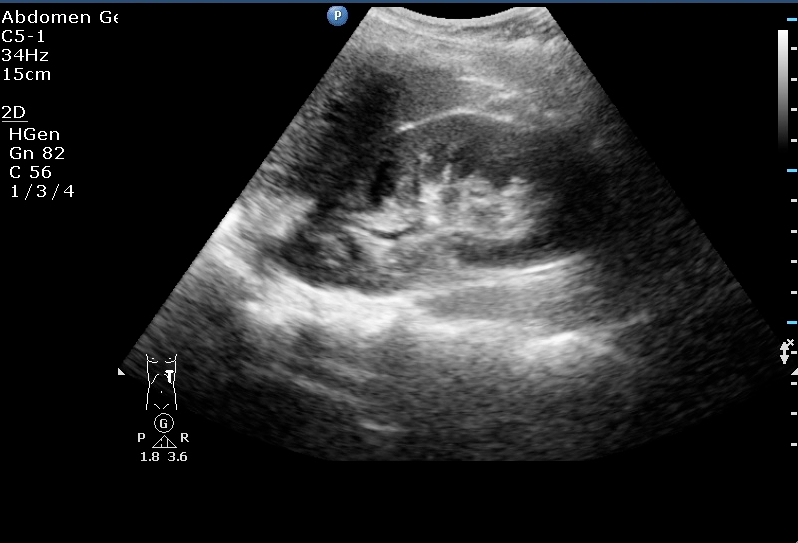 Emergency ultrasound case of the month……2014 !! Happy new year to all !! 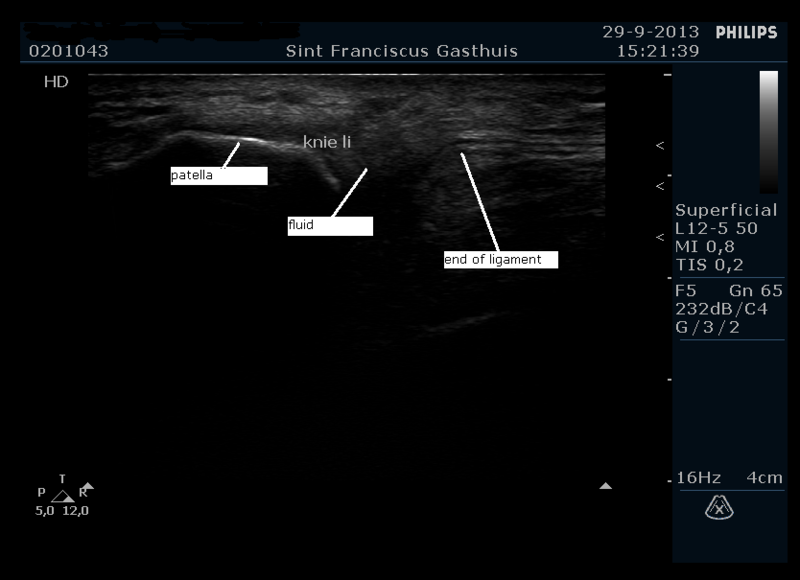 Hope you got through december without an ultrasound case of the month on EM Dutch ;-). Here’s one to start of 2014 , I picked this one up on one of my shifts at the Westfriesgasthuis in Hoorn. To me it illustrates beautifully why emergency ultrasound can be so helpful in providing better care for your patients and should be a core competency for all (dutch) emergency physicians! 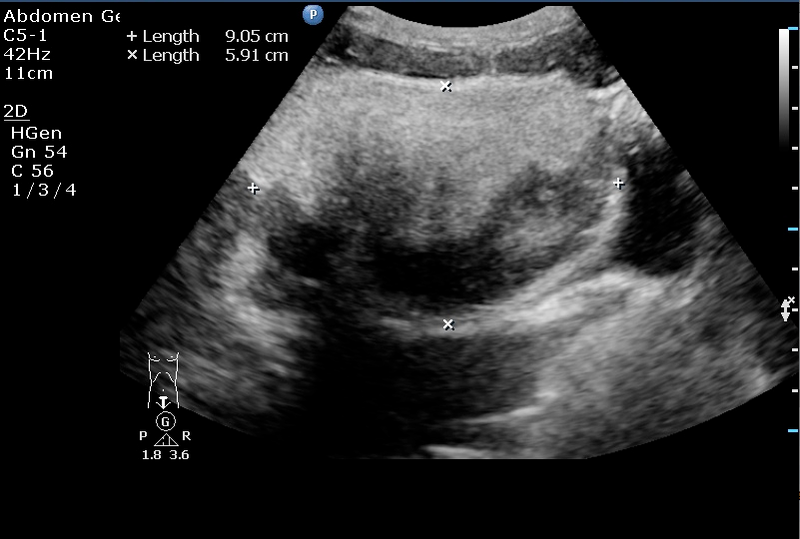 Read for yourself and see what you think ..
A 23 year old female, with no relevant past medical history, came to the ED the day before I saw her, with sudden onset right sided flank pain radiating to the lower adbomen and groin. It was noted that during physical exam she experienced colik-like pain, her right lower quadrant was mildly tender on palpation and pelvic exam was not painful. No fever and labs were normal. 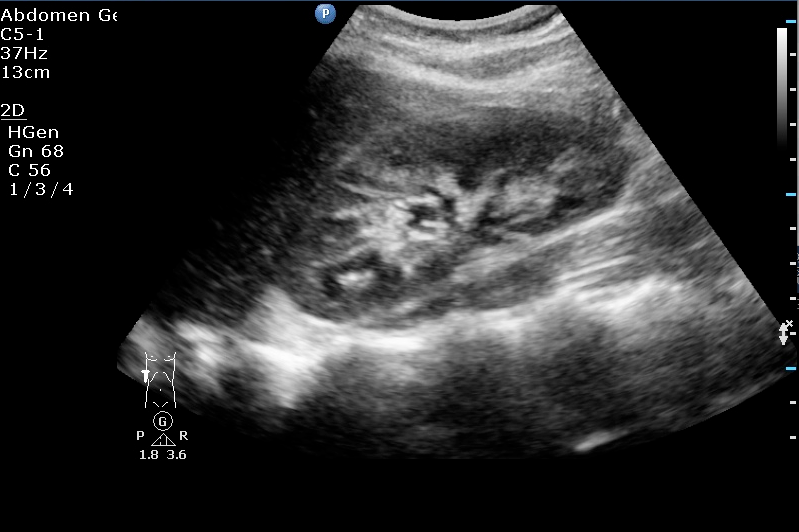 Preliminary diagnosis stated in the chart: ureter stone or maybe even an appendicitis. She was told to come in the next day to be re-evaluated. 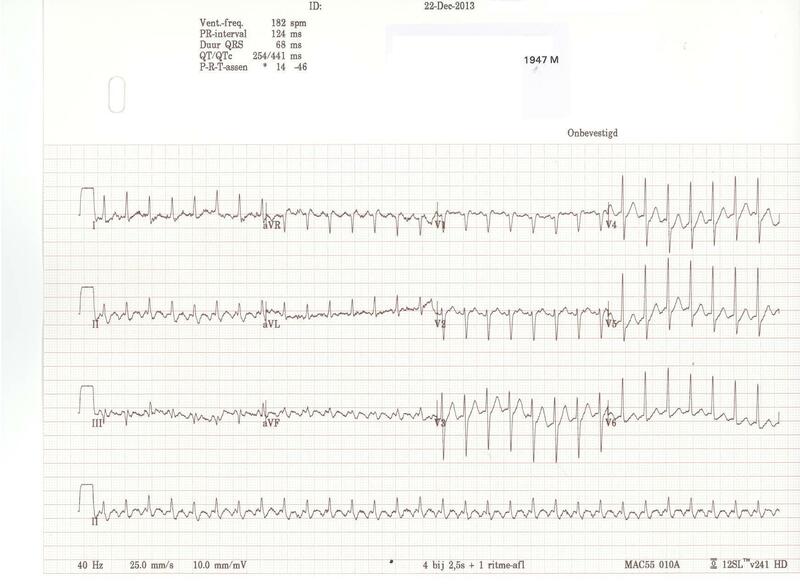 When I saw the patient , despite plenty of opiates, she was still in a lot of pain which was now continuous and non-coliky and mostly in the right lower quandrant. 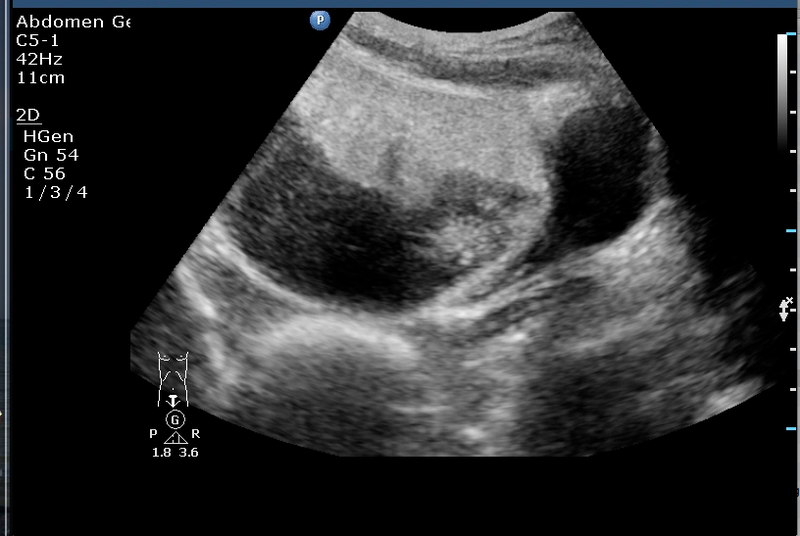 Still thinking ureter stone ?? Here’s an interesting 12-lead ECG and rhythm strip from a 66 yo male with dyspnea and a fever, with a yet undefined proces in the right lung. 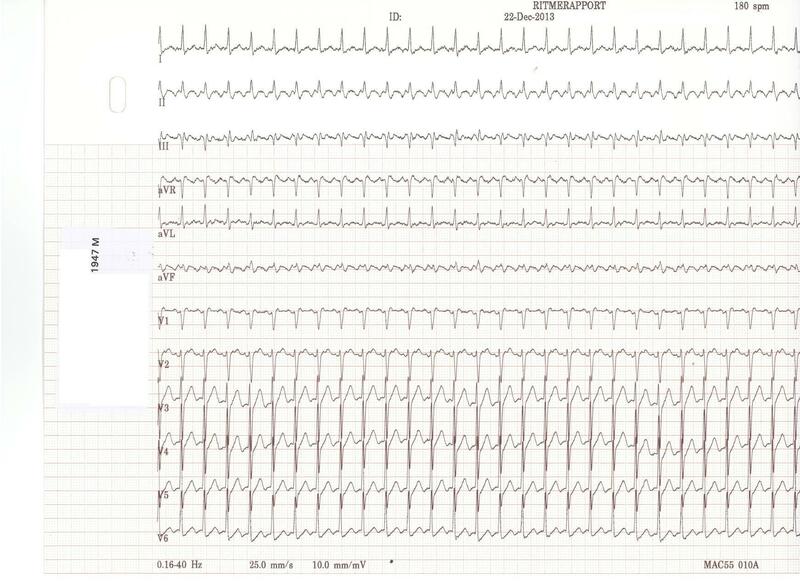 Interpret en describe the ECG/rhythm strip. More on this case will follow in two weeks. Recently, 2 patients have visited our ED after a patella luxation, which was replaced by EMS personnel. 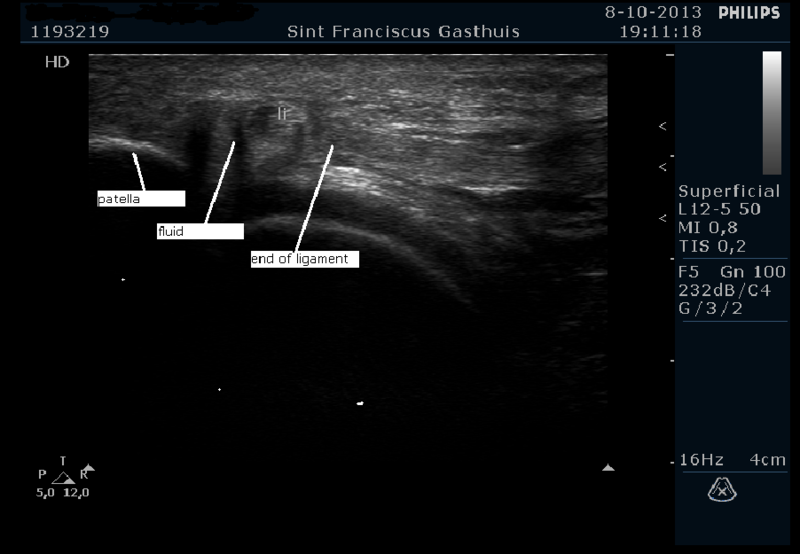 Besides physical examination and plain radiography an ultrasound was performed with a lineair probe to determine and confirm a ligament rupture. 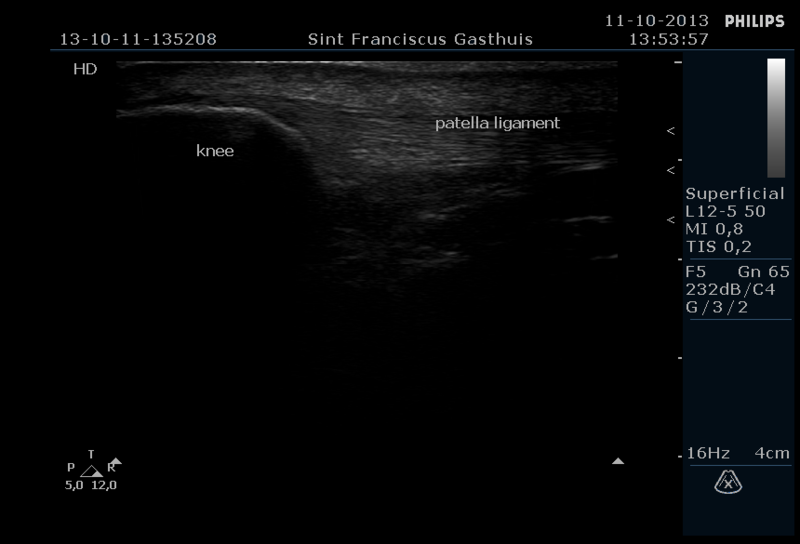 Picture 1: a normal patella ligament of a healthy well built emergency physician (myself). Picture 2: a 50 year old man with a knee injury during a field hockey match. Picture 3: a 37 year old man with a knee injury on both sides during exercise after revalidation from his myocardial infarction. He denied use of steroids. 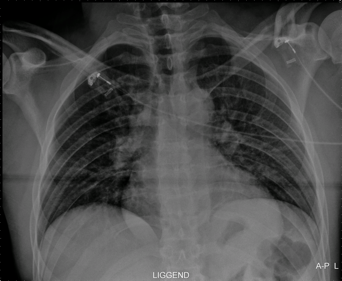 Both patients received surgical repair later on. I really love my ultrasound machine!!! Case report of Wendy vd Berg, aios SEH RKZ.